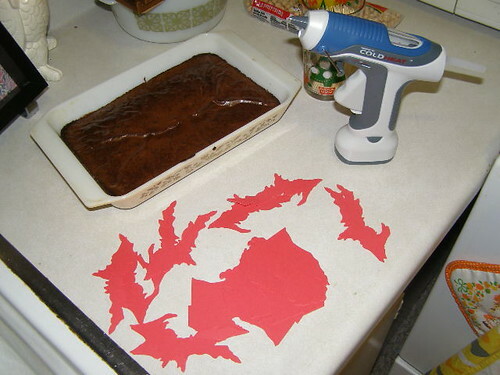 Step 2: With a hot glue gun, place a thin strip of glue and place one cocktail pick down. Don’t burn your fingers! 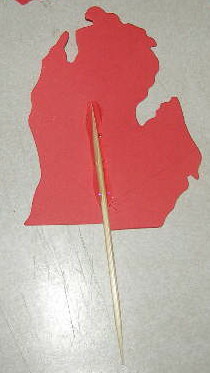 Step 3: Add more glue to the first piece, then place your other Michigan (line them up to match) down on the first piece. Again, be careful of your fingers… the glue gets hot! 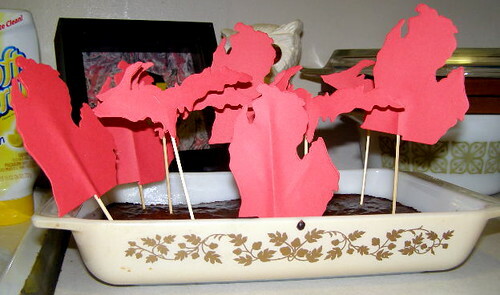 Step 5: The finished project! Step 6 would be… eating them! 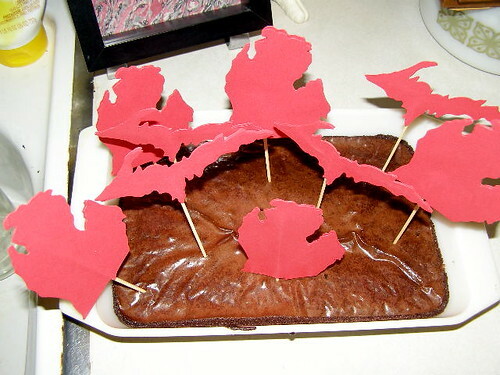 Tell the world you’re proud to be a M!CH!GAN!AN this Independence Day by poking some brownies with cocktail picks. Go to town- literally. 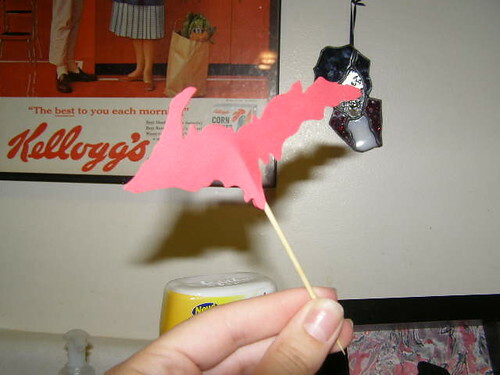 Try making variations with some collages from your own city, perhaps a side of the state (maybe Michigan’s west coast?! ), etc. 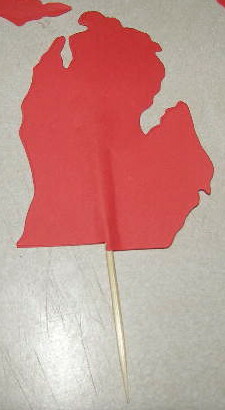 RED Michigans? I thought Michigan was a blue state. Where did you get your shapes? Is there a file somewhere for this one as I’m from Michigan also, but i have some other ideas for it. 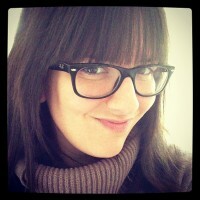 Um… isn’t that Michi-gander? LOVE LOVE LOVE the shapes -how hilarious!